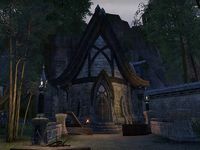 The Abandoned House is a single-room Altmer-style house found in Haven. A copy of Anirtur's Diary can be found to the right as you enter. This page was last modified on 29 April 2017, at 23:00.